Microsoft Azure is a public cloud computing platform that provides various solutions including PaaS, IaaS, and SaaS. Azure is one of the fasted growing cloud business, with it's revenue growing by 76%. It can be used for analytics, storage, virtual computing, networking, and more. The amount of services in Azure is so vast that it could get confusing to work with. It's important that you have the right resources to help you through your cloud migration journey. Here are the top guides that'll make you an Azure expert in no time. Learn how to adopt Azure IaaS and migrate your on-premise infrastructure to Azure. 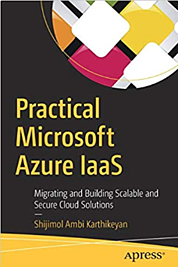 This book provides solutions by following Microsoft’s design and best practice guidelines for building highly available, scalable, and secure solution stacks using Microsoft Azure IaaS. By the end of this book, you'll know how to map the familiar on-premise architecture components to their cloud infrastructure counterparts! This guide gets you started by breaking down the most important concepts and tasks into 21 bite-sized lessons, complete with examples, exercises, and labs. You'll master the basics, including setting up cloud-based virtual machines, deploying web servers, and using hosted data stores. This guide is perfect for beginners who are brand new to Azure! 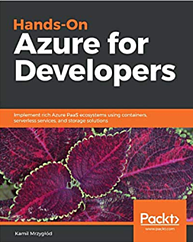 Hands-On Azure for Developers will take you on a journey through multiple PaaS services available in Azure, including App Services, Functions, Service Fabric, and explain in detail how to build a complete and reliable system with ease. You will learn how to maximize your skills when building cloud-based solutions leveraging different SQL/NoSQL databases, serverless and messaging components, and even search engines such as Azure Search. This guide will introduce you to some powerful core offerings on the Microsoft public cloud platform. You will learn common terms, designs patterns, and examples of how to deploy IaaS solutions for compute, network, and storage. 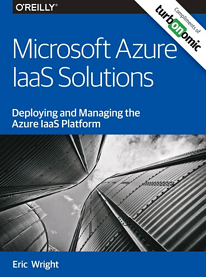 By the end of this free guide, you'll be able to launch and manage Azure IaaS solutions including virtual machines and storage, understand the implications and requirements for security, and identify and access management on Microsoft Azure! Also, check out this video to learn about Microsoft's partnership with Turbonomic. 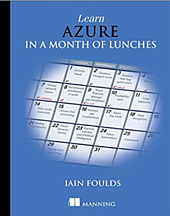 This book guides you on how to set up a virtual network within the Azure portal, how to use a network security group, and how to launch a virtual machine within the platform. You are also guided on how to work with SQL databases within the Azure platform. 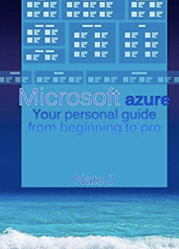 Every aspect of Microsoft Azure has been discussed in this book, making it an exceptional guide to help you transition from an Azure Beginner to an Azure Expert! 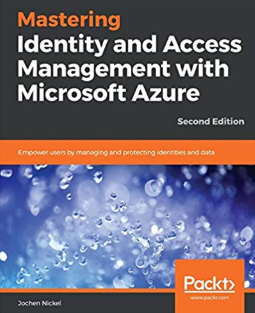 This guide will show you all the benefits of Microsoft Azure in the field of identity and access management. By working through the functionality of identity and access management as a service, you will get a full overview of the Microsoft strategy. By the end of this book, you will have a thorough understanding of Microsoft Information protection technologies! Turbonomic workload automation for hybrid cloud continuously assures that all workloads get precisely the resources needed to ensure performance and lower cost while maintaining policy compliance.